From HVL Main Gate, L on Alpine past Golf Course, R on Heidi Haven, property on L. Sign on. 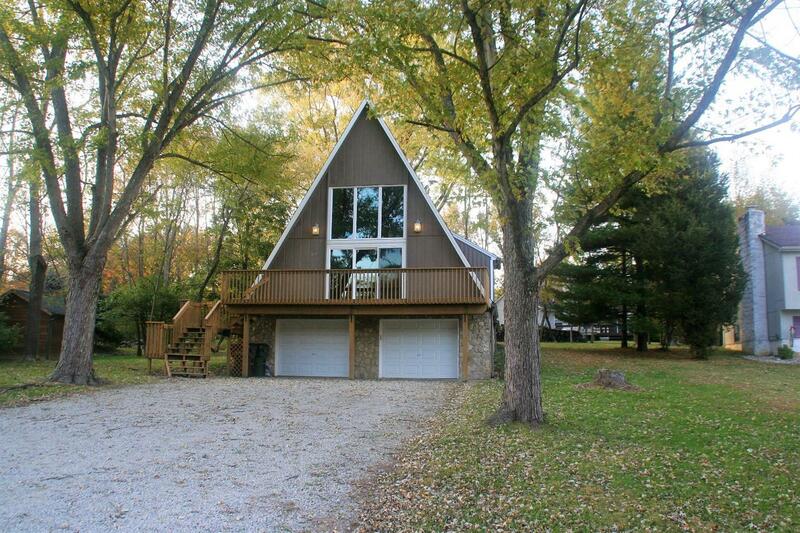 Charming & spacious A-frame in great condition - lots of recent improvements (roof, furnace, AC, paint, siding, flooring & MORE!) Move right in & enjoy the open plan. Two story GR w/corner entertainment center, 2nd flr vltd. Master w/adj. loft, contemporary kitchen & updated BAs. Level driveway & lot, w/front & rear decks. LL FR & LG laundry room.